Founded back in 1982, the Saint Simons By-The-Sea rehabilitation center is located on the beautiful Saint Simons Island in Georgia, between Jacksonville, FL, and Savannah, GA. This location was specially chosen by the founders because of the beautiful nature and calm that is found on the Saint Simons Island. This is a great environment for anyone who is looking for a place to stay, focus on getting better and escape the noise that surrounds us everywhere. The Saint Simons By-The-Sea is a fully accredited rehabilitation center that offers help to both adults and adolescents who have troubles with drug and alcohol addiction, sexual and physical abuse as well as psychiatric disorders. The program at the Saint Simons By-The-Sea bounds to help its patients in as little as 14 days to overcome their addiction problems and get better with a slight to no possibility for relapse. The Saint Simons By-The-Sea is a short-term hospital that offers acute care, dual diagnosis treatment, and relapse prevention. The Saint Simons By-The-Sea located on the sunny Saint Simons Island in Georgia is built in the unique Spanish style. This one-story eye-catching facility has three wings attached to the main building and welcomes 101 patient at a time. The total of 101 beds is placed in rooms with dual occupancy, with twin beds and single, suite-alike bathrooms. All of the rooms and halls at the Saint Simons By-The-Sea facility are colored in bright, soothing colors with plenty of windows and natural light to brighten the rooms. Community rooms are available as well, where patients can spend their time talking to each other, watching TV, playing games, reading, etc. A cafeteria is also present, where patients eat their meals specially prepared and approved by the official staff and a dietitian. Although there is no on-site gym, there are lots of wandering places outside the facility where patients can walk, jog, run, and wander around enjoying the nice weather and the even nicer nature that surrounds the Saint Simons By-The-Sea at all times. Residential treatment has been and always will be the best option for addiction patients. At the Saint Simons By-The-Sea, the patients who participate in the residential treatment take part in both individual and group therapy in order to get better as fast as possible. What is so special about the residential treatment at the Saint Simons By-The-Sea is the fact that here, the staff has cut the traditional 28-days treatment period which is found in most rehabilitation centers to only 14-days while at the same time they achieve even better results as compared with other rehabilitation centers. A dual diagnosis treatment is an option for patients that suffer both from abuse or addiction of some kind, while at the same time they are struggling with the symptoms of a psychiatric disorder such as depression or bipolar disorder. This treatment plan binds the most effective treatment techniques for both the psychiatric disorder itself and the addiction as well in order to help the patient achieve success in getting better and preventing any relapse in the near future. As usual, detoxification is available to the patients at the Saint Simons By-The-Sea as well. However, if the patients have completed their detoxification process at another place or it is estimated that they are not in need of one, then they can right away continue to begin their treatment. According to their official website, a full 14 days treatment at the Saint Simons By-The-Sea rehabilitation center cost $11,652. According to their official website, the staff at the Saint Simons By-The-Sea accepts most insurance plans. We encourage our readers to contact the official staff at the Saint Simons By-The-Sea for more information via phone or email. 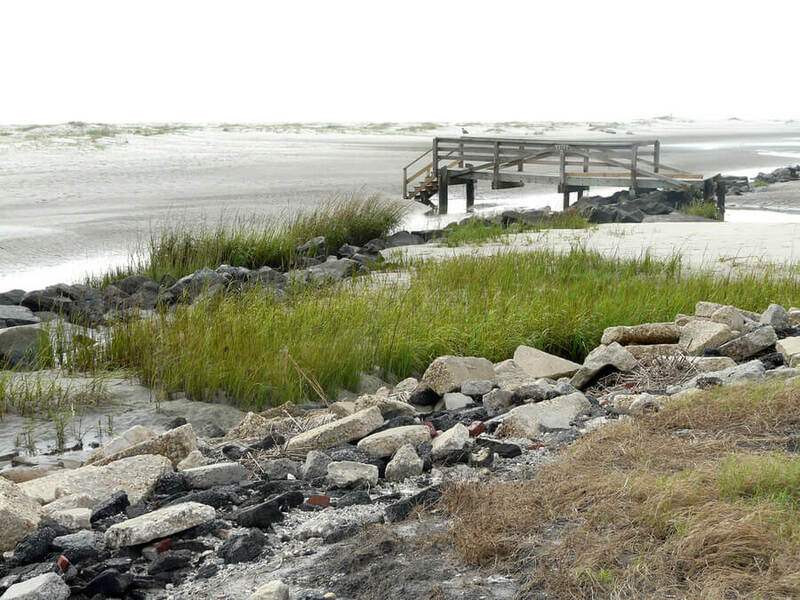 All of the work done at the Saint Simons By-The-Sea has been fully licensed and approved by the state of Georgia as well as rewarded and accredited by the Joint Commission. Apart from the 24/7 medical help and care that the patients at the Saint Simons By-The-Sea enjoy in, this rehabilitation center offers many other amenities as well. Because the staff at the Saint Simons By-The-Sea understands how important regular exercise is for maintaining and leading long and healthy lives, regular yoga sessions, as well as tennis sessions at the local tennis court, are a must. But that is not all. The staff also understands the need to spend some free time having fun, bonding with other patients during these 14 days of treatment. And because of that, patients can engage in karaoke, art and music therapies to clear their minds, forget about their problems and have some good time while they concentrate on getting better. Robert Brayan, M.D. is a certificated physician and addictionologist at Saint Simons By-The-Sea rehabilitation center. He is accredited by the American Board of Addiction Medicine and the American Review Officer Certification Council. Practicing psychiatry for over nine years now, Dr. Stephanie Champan is an accredited psychiatrist at the Saint Simons By-The-Sea rehabilitation center. She has been accredited by the American Board of Psychiatry and Neurology and now actively treats patients within the wall of the Saint Simons By-The-Sea rehabilitation center. Working primarily as a doctor in Ashland, KY, Dr. Judie Kwolek also works at the Saint Simons By-The-Sea rehabilitation center as a psychiatrist. Since her graduation in psychiatry and neurology, Dr. Kwolek has built a successful carrier with 13 years of experience. She is a board-certified psychiatrist by the American Board of Psychiatry and Neurology. Dr. Martelli specializes in both Psychiatry and Neurology and is currently working in two locations with Saint Simons By-The-Sea being the primary main one. Accredited by the American Board of Psychiatry and Neurology, Dr. Martelli uses his experience and knowledge to help as many patients as possible. Dr. Swaney has specialized in both adult and adolescent psychiatry, and since his graduation from the Wayne State University, he has been accredited by the American Board of Psychiatry and Neurology. He is currently working at three different locations, one of which is the Saint Simons By-The-Sea rehabilitation center.